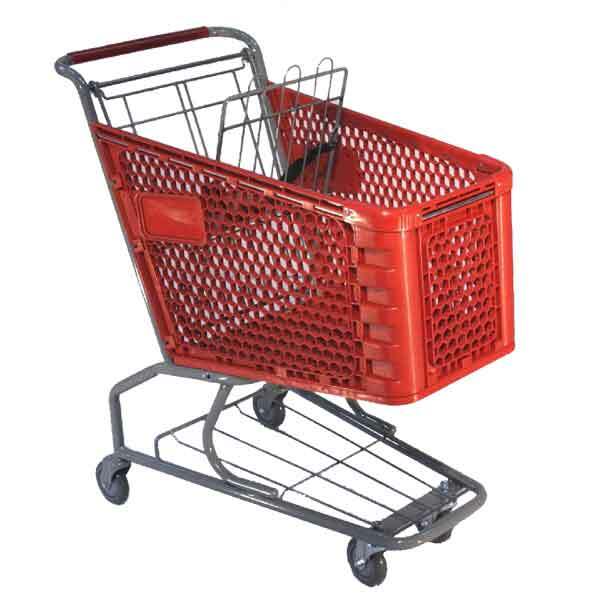 Plastic retail shopping carts are lighter in weight than a similar size wire cart and offer some protection to store fixtures. The cart frames and wire gate have a rugged baked-on powder coated finish. Many retailer like the visual appeal of the plastic baskets. 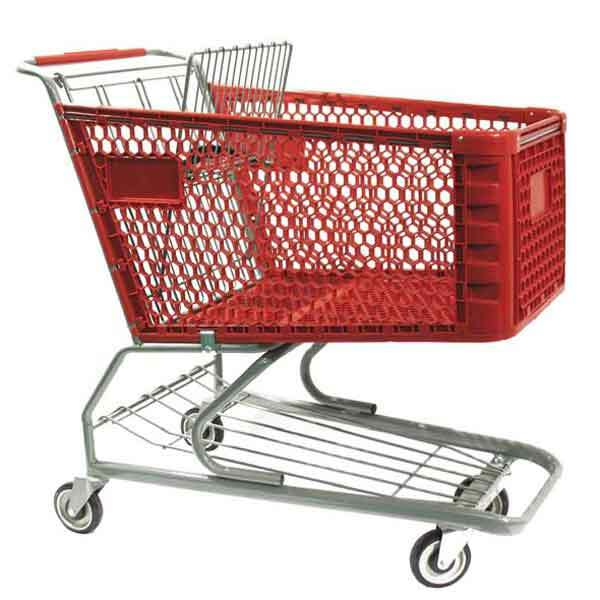 The models 150, 550, 600, & 650 plastic carts ship from a national, family-owned business that has operated for over 50 years. They produce a full range of plastic carts. Some of the cart components are imported, while the powder coated finish, final assembly, and shipping are completed from their Virginia facility. The models HC20 plastic carts ship from North America's largest cart manufacturer. The HC20 is the only plastic cart they produce. 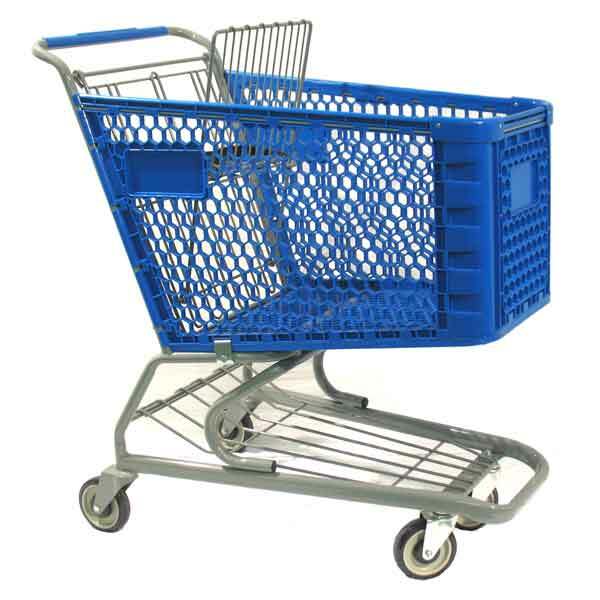 The one piece plastic basket is molded in Canada and the cart frame is fully manufactured, assembled, and the carts ship from their North Carolina facility. Our west coast plastic carts ship from a national, family-owned business that has operated for over 50 years. They produce a full range of plastic carts. Some of the cart components are imported, while the powder coated finish, final assembly, and shipping are completed from their California facility. 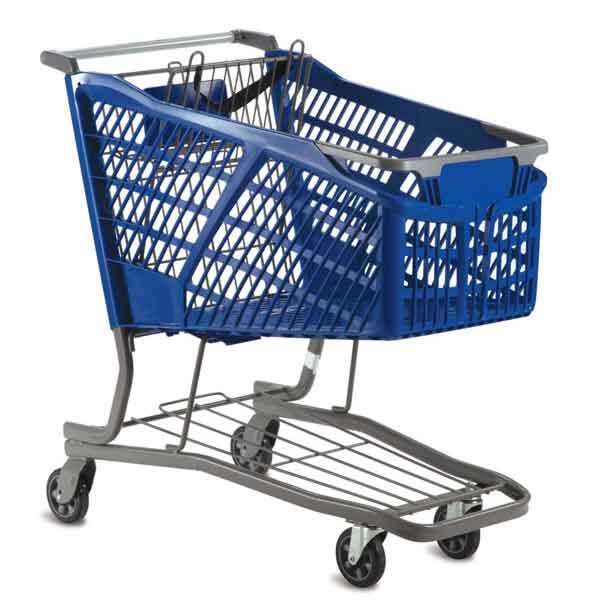 The plastic carts we offer are hybrid carts like the vast majority of plastic carts in the US. 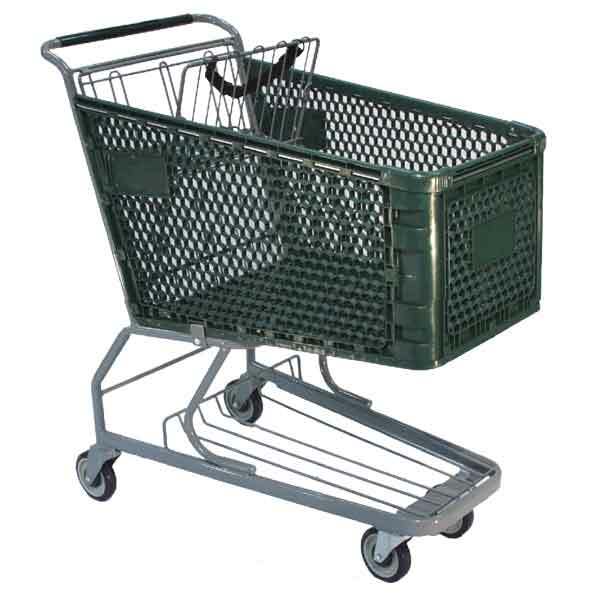 Hybrid carts have a steel tubular frame, wire back nesting gate, and a plastic main basket.